Since moving to Langley from Alberta last year, Jessica Cooper has fallen in love with her new town. But she’s noticed some areas where a little more love could be shared. 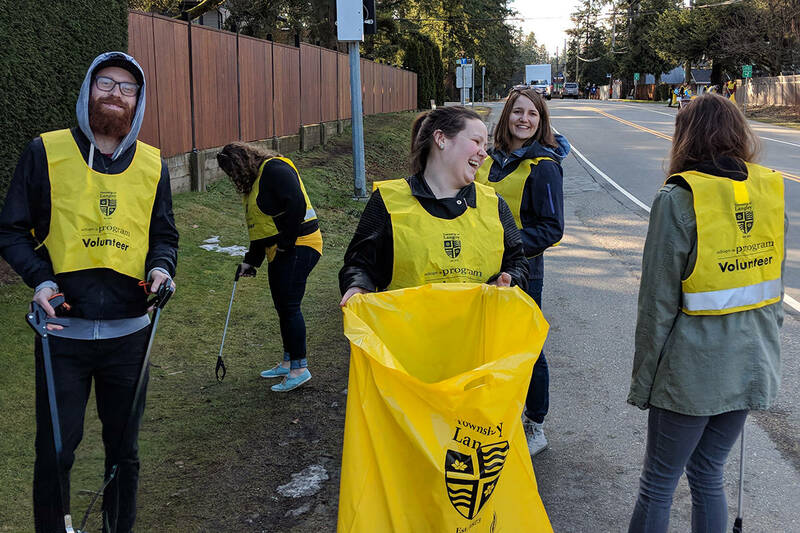 Through a new church, City Collective — which launches in Langley on Sept. 23 — Cooper, and a group of about 30 other young people, have created an initiative to spread kindness throughout the City and Township. Titled ‘Love Week Langley,’ the group will host a series of events from Sept. 16 to 22 where residents can come together and volunteer at different organizations. There are seven opportunities people can sign up for, ranging from street cleanups and socializing with seniors to serving meals to the homeless. Love Week is perfect for those who want to give back, but cannot commit to volunteering consistently throughout the year, Cooper said. It also offers the opportunity to meet new people and to develop new outlooks on life. “When you change your perspective, when you look outside yourself, when you look at how you can help the person who is next door, or the person across the street, it really changes your perspective of your own situation,” Cooper said. Although organized by members of City Collective Church, Love Week Langley is an independent event. People from all walks of life are invited to take part. To sign up for a volunteer opportunity, visit www.loveweeklangley.ca.